When browsing used car dealers 30-40 years ago, mileage was perhaps the number one concern of consumers. Even vehicles that had 80,000 to 90,000 miles were considered too worn out, and therefore an unreliable purchase. But, is this still the case in 2016? While there is still such a thing as too many miles, it’s not nearly as pressing of an issue. Sure, buying a used truck with over 200,000 miles might be ill-advised — if it wasn’t taken care of properly. Like I said, that mileage might be pushing it. But, if that truck with 200,000 miles on it was taken care of better than the same truck with only 80,000 miles that never experienced an oil change in its life, I’d take the one with higher mileage. In this day and age, the deciding factor should concern whether the vehicle was properly maintained or not. I’ll elaborate on that in a second. But for now, it’s important to touch on a lesser-known factoid about used vehicles and their mileage. Contrary to what many people believe, the more you drive a vehicle, the healthier it will be. “But, putting more miles on a vehicle means more wear and tear” is what you’re thinking right now. Here me out: The average amount of miles driven per year is 12,000 miles. So, if you have a used vehicle that’s five years old, it’s expected that vehicle will have somewhere around 60,000 miles. If it only has half that amount of expected mileage — or a quarter — then you will want to move on. Driving a car too little is just as bad for it as driving it too much. Therefore, you want to find a good balance of mileage somewhere in the middle. 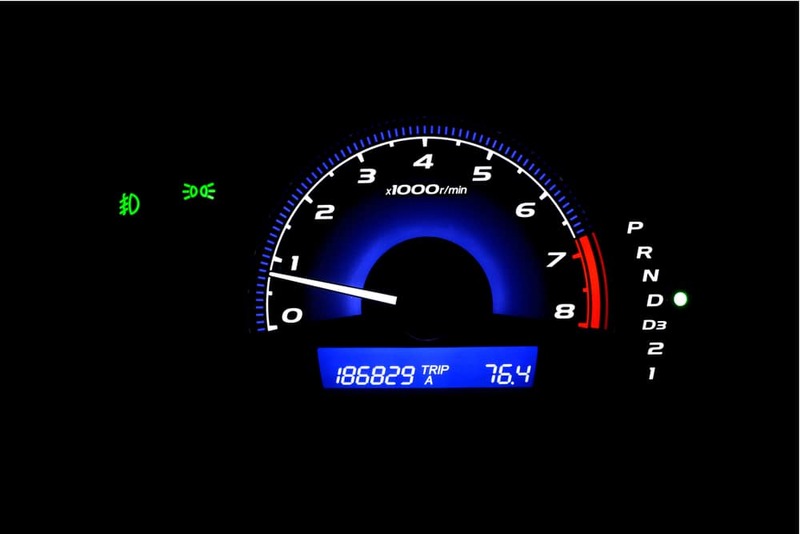 Why can low mileage be detrimental to the vehicle? Because low miles indicate that the vehicle hasn’t been driven that much. This can represent a whole host of problems. For example, the vehicle in question might have tires that have begun to rot or crack due to sitting in the same mud puddle in the owner’s yard before they decided to finally sell it to a dealership. Or, the undercarriage could be rusting horrendously because it never got cleaned properly after the few times it went out in the winter on salted roads. The issues don’t stop there; in fact, they can be mechanical as well. After long periods of inactivity, the battery will start developing issues. Even if the vehicle wasn’t run for a week or two, the battery could potentially lose all its power. The fuel pump — especially if it’s electronic — will go bad simply from not being used, and the engine and transmission can experience a range of issues that add up to be too many to count. The point is, if you buy a vehicle that’s way under the average mileage and think you’re getting a deal, think again. Ask the owner (if buying privately) why the vehicle has such low mileage. If said owner replies that it’s because he or she didn’t need it for weeks on end at some point, then don’t even bother. If you’re at a dealership, make sure to get a vehicle history report and maintenance records (if available) to ensure the vehicle was properly maintained while it was sitting on the lot. Speaking of properly maintained, it’s this reason in particular that high mileage isn’t as pressing of a concern. It’s no longer Mercedes-Benz and BMW models that are known for running seemingly forever. In 2016, any used car you buy from the late ‘90s and 2000s should easily last over 200,000 miles. IF it was properly maintained, of course. Common sense alone tells us this. For example: what vehicle would you rather buy? One that’s been driven for 150,000 miles and maintained to a T, or the one that’s only been driven 50,000 miles and never experienced any basic maintenance? Since oil changes often happen between 3,000 to 5,000 miles, that means the vehicle should have had anywhere from 10 to 16 oil changes in that amount of time. That fact alone should be enough to scare you away because that means the engine has been running for 50,000 miles on the same engine oil and filter. Ultimately, this means that vehicle with lower miles is going to have more issues than the vehicle with higher miles, simply because it wasn’t maintained properly. Low miles and the least amount of owners possible are good things to look for when it comes to buying a used car, but they aren’t everything. You’ll want to make sure that vehicle was properly maintained above all else, lest you end up with a vehicle that costs you thousands in repairs down the road. Of course, there is still such a thing as mileage that is too high. Buying a 1992 Chevy Silverado with over 300,000 miles is probably not such a good idea, especially if you are unsure whether or not it was maintained properly. You still want to be wary of vehicles that are approaching or are over the 200,000-mile marker. But if they were properly maintained throughout their entire lives and have had no serious issues, then a vehicle with around 200,000 miles is an okay buy. If it’s properly priced. We already know not to buy a vehicle that has too few miles on it, but what else should you avoid? A vehicle that has high miles and was used for work. While this applies more towards trucks and SUVs that have lived their life on a construction site towing heavy trailers and hauling heavy payloads — or plowing snow for years — it’s still good to know if you’re in the market for a truck. This is a case where even 150,000 miles signals something to stay away from because those 150,000 miles represent the history of an overworked vehicle. One that will surely have big issues pop up in the near future, if they haven’t already. Therefore, make sure to prioritize proper maintenance over a number of previous owners and total miles the vehicle has. But, don’t buy a vehicle that’s sitting at an astronomical amount of mileage. While it might not be as big of an issue in 2016 thanks to the way a lot of used cars from the past 10-20 years have been built, horrendously high mileage is still cause for concern.